Piezoelectric manufacturers like us provide various types of piezoelectric ceramics for different market sectors. 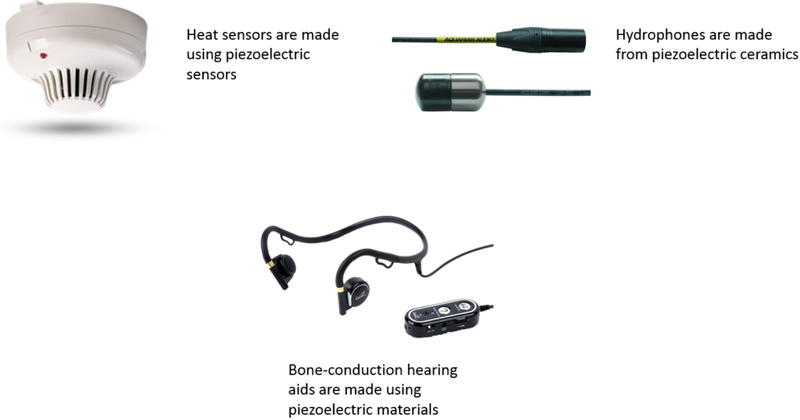 As the technology for piezoelectricity advances, there will be more and more products that use piezoelectric materials. One of the best examples is the future of eco-friendly energy. Let’s say you make a road with piezoelectric ceramic elements, anyone who walks on it will generate kinetic energy. This energy can then be stored and used for a variety of purposes. This has already been tested in multiple places. In Brazil, there is a special soccer field which converts the energy from kids running on the field along with solar panels to power LED lights at night. Just imagine that if roads in densely populated areas like San Francisco were using this technology. The energy generated from human traffic could be used to power the city.